The festive season is round the corner, and to commemorate that, telecom giants are introducing several 'value for money' offers and tariff plans for their customers. In line with the same, Vodafone India has now come up with a new plan for its prepaid users. Under the new plan, Vodafone users will get 90 GB of 4G data for 6 months along with voice calling facility at Rs 399. Although in some circles, this data could be 84GB with validity of 84 days, which in effect means 1GB data per day. This new tariff plan by Vodafone India counters Reliance Jio and Airtel's Rs 399 plan. First coming to the Vodafone plan, let's see what it offers. The Vodafone Rs 399 plan offers 90 GB of 4G data along with unlimited voce calls for 6 months. This plan is limited to the Vodafone prepaid users only. Indian Express was the first one to report about this new offer by Vodafone. 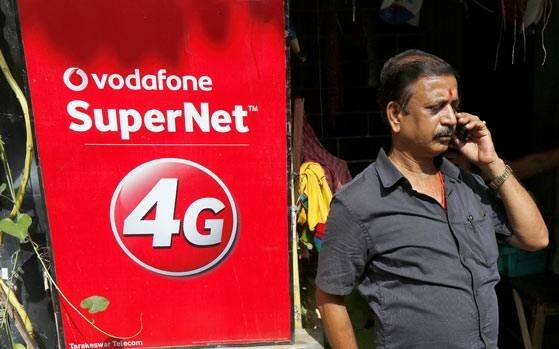 For the postpaid users, there is another plan that costs Rs 499 -- although there are reports of some users getting discount of Rs 100 if they talk to customer care -- that gives the same benefit. This plan too offers 1GB data per day for 3 months along with unlimited calls. Interested customers can call at 9582566666, reports the Hindustan Times. It should be noted that, because this plan is a part of a Diwali gift from Vodafone to its customers, we are still not sure if it's a limited offer or will continue after Diwali. Coming to Jio and Bharti Airtel, Vodafone's Rs 399 plan competes directly with the Rs 399 plan that the two operators provide. Under the Rs 399 plan offered by Jio, users get up to 84GB of 4G data for 84 days. Under this plan, the Jio users will have a daily FUP limit of 1GB. Along with the 84GB data, Jio also offers unlimited voice calling facility both local and STD. It also provides free SMS service and access of all the jio apps including Jio Movies, JioTV, JioCinema, JioMusic, JioGames and so on. Meanwhile, Airtel under its Rs 399 plan offers 84GB of 4G data for 84 days, with a daily FUP limit of 1GB. It also offers unlimited local and STD voice calling facility.